The Wild Gardens is the area to the north of the lake, which was to have been a second lake in the very first plans for the park. That idea was abandoned on the grounds of expense and instead the space was dedicated to growing native trees, plants and wild flowers in a park environment where the public could learn about and appreciate them. This was in contrast to the Botanic Garden, where many plants from other parts of the world were planted. In June 1894 when the park opened, this area had not been developed. Shortly after, in September 1894, a public shelter was built, and this was followed in 1895-96 by the creation of footpaths and two bridges over the brook. Apart from these additions the Wild Gardens retained much of its original state with indigenous trees, plants and wild flowers. The formal opening was on 27th May 1896, and a report of the ceremony referred to "unlocking the gate" and that "a halt was made at the trim little summer house in the centre of the garden". Ordnance Survey maps show the shelter to have been in the southerly half of the Wild Gardens, towards the centre, where two paths intersected a short distance from the southerly footbridge over the brook. 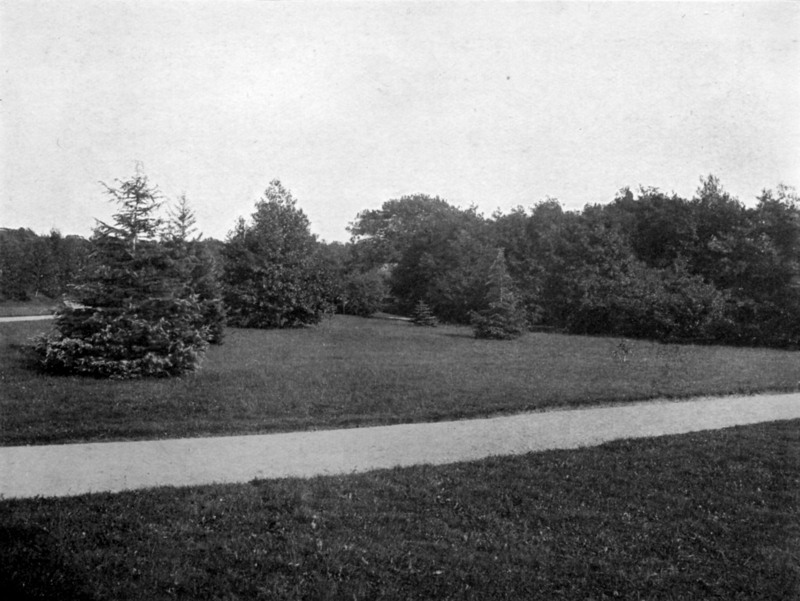 The photograph on the left, dating from around 1905, shows that there was much open space at that time, as well as the trees and shrubs. In November 1901 it was decided that ponds would be formed in the Wild Gardens for rearing young fish from the hatchery. During the winter of 1910-11 three fish ponds, large enough for rearing two year old trout from the hatchery, were constructed, using unemployed workmen engaged by the Cardiff Distress Committee. The ponds were enclosed by a bamboo fence to keep the public out, and the Parks Superintendent W.W. Pettigrew reported that they were to be ornamental as well as useful, forming "a very pleasing feature in the Wild Garden". About 18,000 young trout were reared each season. The majority were sold but some were released into the lake. Although the hatchery fell into disuse in the 1920s, there were ponds in the Wild Gardens until at least the 1940s. In January 1944 it was reported that a Park Keeper, Mr C.J. Richards, had "saved the life of a child who had fallen in the centre of the larger pond in the Wild Gardens." This Ordnance Survey map shows the Wild Gardens in the 1920s. Several pools used for rearing young fish are shown in the north and centre. The two foot bridges across the brook are shown, and in the south, towards the centre, is the shelter. On the north west boundary is a small square building which was probably the mess room and tool store mentioned in the 1938 Inventory of Parks Buildings and Equipment. 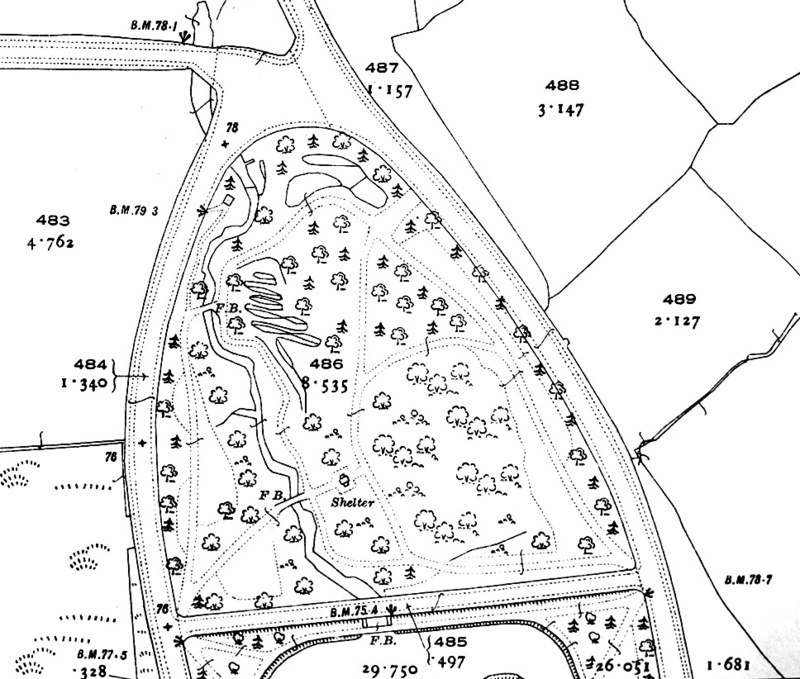 On the 1940s Ordnance Survey map the ponds were still to be seen at the extreme north of the Wild Gardens, and the shelter and both footbridges were also still present. On the 1950s map the shelter had gone. The southerly footbridge was still there in the 1950s, but was not shown on the 1960s map. The building at the north west boundary was present on the 1940s but not on 1950s map. It was probably the brick hut which in January 1955 the Chief Constable reported was being improperly used. At the Parks Committee meeting on 17th February it was agreed that this hut be demolished at a cost of £90. Up to the 1940s there was a botanist based in the Wild Gardens, part of whose role was the nurturing of native wild flowers in the clearings which then existed amongst the woodland trees and shrubs. The Wild Gardens was last tidied and undergrowth removed in the 1980s and the current overgrown state was not reached until relatively recent times. In general, the information in this section is taken from A. A. Pettigrew, The Public Parks and Recreation Grounds of Cardiff, Volumes 2 & 3.